In New Zealand, Māori (indigenous New Zealanders) and Pacific students tend not to attain the same levels of educational success as Pākehā (New Zealanders of European descent). Addressing this problem is a particular challenge in the sciences. The kaupapa (values-base) of Te Rōpū Āwhina (Āwhina) is to produce Māori and Pacific professionals to contribute to Māori and Pacific development and leadership through the creation of an inclusive off- and on-campus whānau (extended family) environment where high expectations, aspirations and achievement, collective success, and reciprocity are normalised. 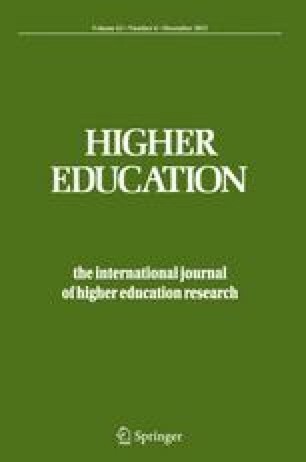 This paper reviews theories and practices of recruitment and retention relevant to Māori and Pacific students at tertiary level, presents the rationale for Āwhina in the Faculties of Science and Architecture and Design at Victoria University of Wellington, and assesses the impact of the whānau. Based on analyses of quantitative measures of student achievement, and biennial surveys of student responses from the first 6 years of Āwhina, it is suggested that the results are consistent with improving Māori and Pacific graduate and postgraduate achievement and retention. Potential implications for efforts to reduce disparities in tertiary education in New Zealand and elsewhere are summarised. The authors wish to acknowledge Professors Peter Englert and David Bibby, Deans and Pro Vice Chancellors of the Faculties of Science and Architecture and Design for their support for Āwhina; David Bibby for reading an earlier manuscript and providing helpful comments and Matt Viliamu for contributing to early drafts of this paper. We would especially like to thank Geoff Goddard for providing the VUW student record data. This work would not have been possible without the support of all Āwhina whānau members, and we acknowledge and thank them for their contributions. Ministry of Health. (2003). Achieving Health for all People http://www.moh.govt.nz/moh.nsf/pagesmh/2733?Open. New Zealand Ministry of Health.